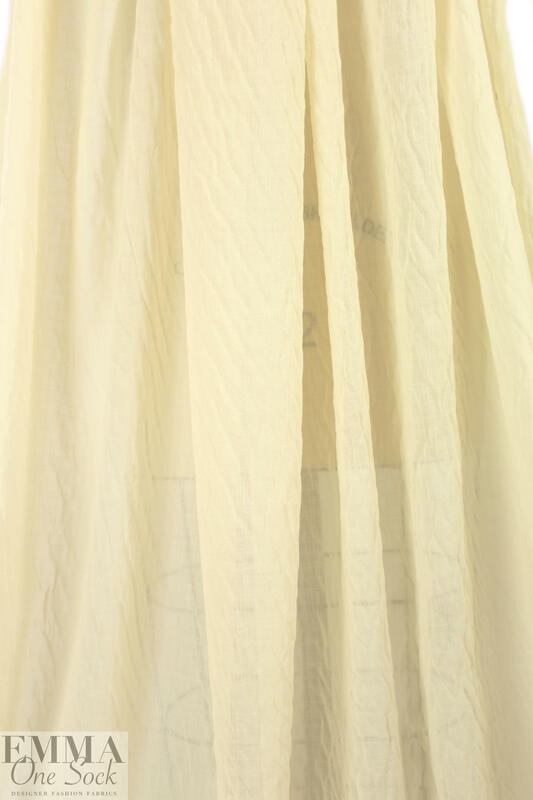 From a NY designer, this is a gorgeous grid weave stretch cotton voile, semi-sheer with a very soft hand texture, a floaty drape and a boho chic look. 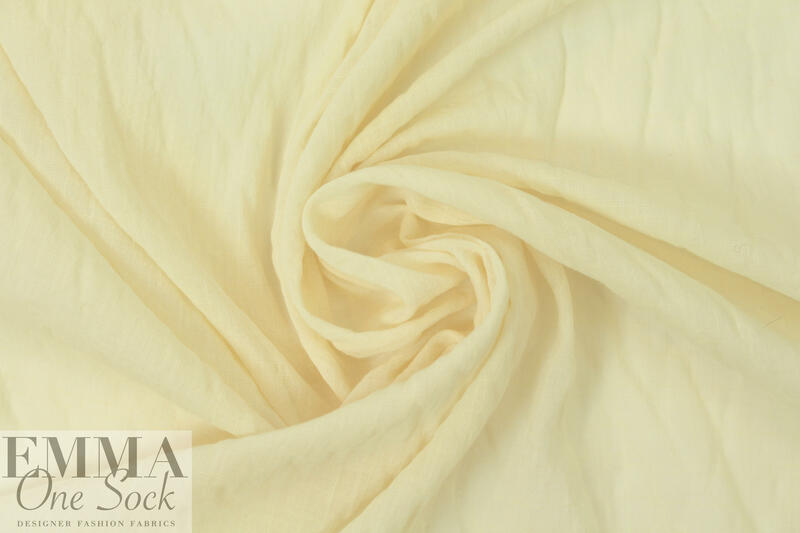 Although it seems unlikely to be a stretch fabric from its appearance, it does in fact have about 15% stretch in the width only with great recovery, and the subtle grid in the weave of the fabric adds dimension and interest. The color is a lovely butter tone (PANTONE 12-0710 is 'sorta' close). 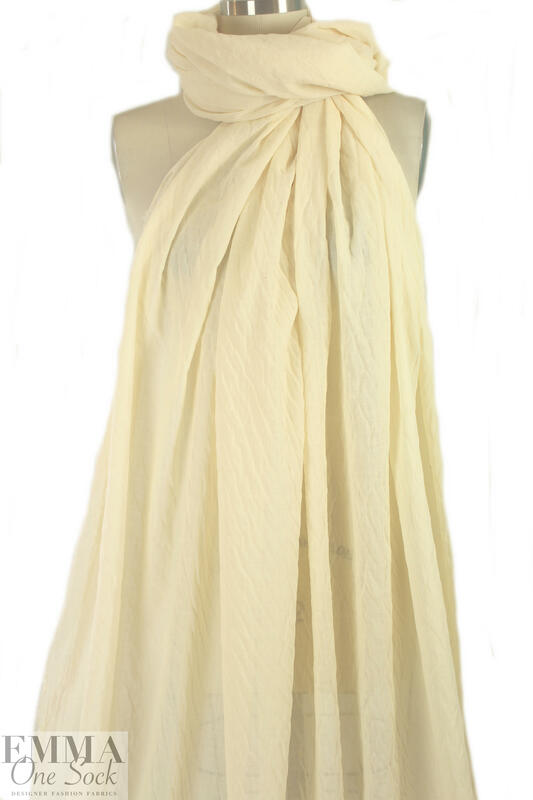 It is equally saturated on both sides, and is perfect for a breezy casual blouse, top, tunic, scarf, etc. Hand wash/hang to dry (please test first).